Wrongful death cases caused by medical malpractice can be very complex and difficult to litigate, which is why the importance of being represented by a Hawaii wrongful death attorney should not be underestimated. If you have lost your family member as a result of negligence on the part of a surgeon, doctor, nurse, hospital, or any other healthcare provider that owed the deceased a duty of care, you may be entitled to file a medical malpractice-based wrongful death lawsuit. Although both wrongful death and medical malpractice claims are common in Hawaii and in other parts of the United States, many people still have no clue how to handle such matters in order to obtain compensation for their economic and non-economic losses associated with the death of their loved one. Today, we brought our Hawaii wrongful death attorney Jed Kurzban for a quick Q&A about how to deal with medical practice cases that result in the death of a patient. Q: Are wrongful death cases settled or litigated the same as other medical practice cases? Not really. Given the seriousness of a case (after all, it involves a fatality) and the severity of accusations (which, needless to say, can result in the firing of the doctor or multiple doctors who were negligent in providing medical care and/or taking away their medical license), wrongful death claims require family members of the deceased to be able to prove that their loved one died as a result of medical or surgical mistake. That is where a Hawaii wrongful death lawyer comes in handy, as only a competent person with a law degree and decades of experience behind his/her back can not only prove negligence in a particular case, but also establish a connection between the negligence and cause of death. 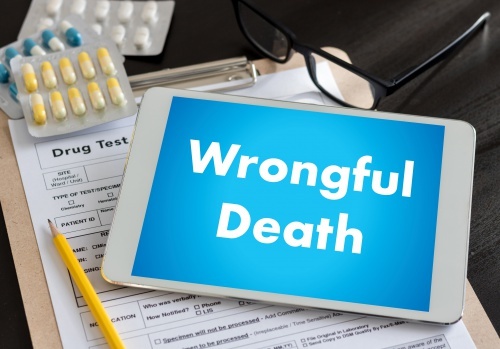 Also, wrongful death is different from all other medical malpractice cases, as the damages that can be recovered by family members are not like in other medical malpractice based cases. Q: How to prove wrongful death in a medical malpractice case? We receive this particular question here at the Kurzban, Tetzeli & Pratt P.A. way too often. Establishing a link between a medical error or surgical error or any other form of negligence on the part of a medical professional and the death of a patient is no easy task, especially in cases involving the elderly, newborns, and patients with complicated underlying medical conditions. In most medical malpractice cases, you will likely face opposition from the hospital or healthcare provider that treated your deceased family member. You can only imagine that this opposition is far greater in wrongful death cases. Unfortunately, many hospitals refuse to conduct an autopsy and rely on the opinion of the doctor who treated the patient. If you are legally represented by a Hawaii medical malpractice attorney, you will be able to obtain all medical records associated with your particular case, conduct an unbiased investigation and establish the connection between wrongful death and medical malpractice. Q: Who is entitled to compensation in a wrongful death case involving medical malpractice? Generally, the heirs to the deceased are entitled to file a wrongful death lawsuit alleging medical malpractice. When the case involves an underage child, the parents are named as the heirs and can become the plaintiffs. If the deceased patient was married, then his/her spouse and the children are the heirs. In the case of an unmarried decedent, the heirs are the children. In case the deceased patient had no children, the heirs are the parents of the decedent. If there are no parents, the victim’s siblings can become the plaintiffs in a wrongful death case. Wrongful death cases caused by medical malpractice can be very complex and difficult to litigate, which is why the importance of being represented by a Hawaii wrongful death attorney should not be underestimated. Contact the Kurzban Kurzban Tetzeli & Pratt P.A. if you have more questions about your case. Call our Hawaii offices at 808-800-2445 or fill out this contact form for a free case evaluation.